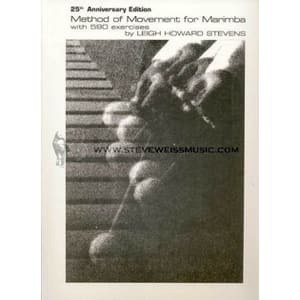 Method of Movement for Marimba by master marimbist Leigh Howard Stevens is perhaps the most in depth marimba method book on the art of four mallet marimba playing. Method of Movement contains 15 chapters covering grip, strokes, shifts, tone production, interval changes, efficient movement around the instrument. 37 photographs, 45 diagrams and 590 graduated exercises. Method of Movement has already been translated into four languages and is an absolute must-have for any serious percussionist. 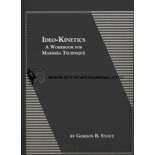 The product shipped quickly, and the packaging was very sturdy, so the book was in perfect condition. I appreciate the care they take with shipping their materials. A must have for anyone who uses Stevens grip or wants to know the benefits to using Stevens grip. My teen's marimba teacher had us order this book. It is a classic. 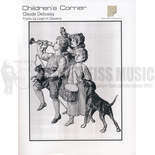 I can't say much about the content, since I am not the musician, but the print is clear and easy to read. The price here is reasonable (people on Amazon were trying to sell used copies for $800! It arrived very quickly. I do wish the binding was a little different so that it would stay open easily on a music stand. I spoke with your rep Dave and he recommended this book. I is spot on for what I needed. It is actually the book that my students band directors recommended (after I had it). 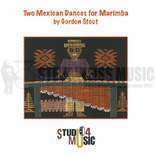 Stevens Method of Movement for Marimba. My grandson 16 yrs old ask for this book for Christmas. 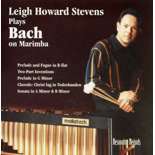 He said it was the Bible for Marimba players. It arrived perfect. Not a page was bent in shipping.